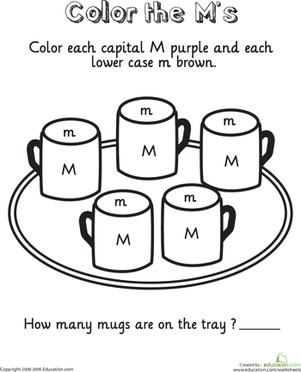 Students will be able to identify the letter M and select things that begin with the letter M.
Sing the letter M song. 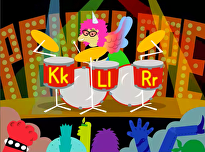 Lyrics to the tune of Mary Had a Little Lamb: Letter M says, /m/ /m/ /m/ x3, Letter M say /m/ /m/ /m/ , like mop, magic, and Mary. 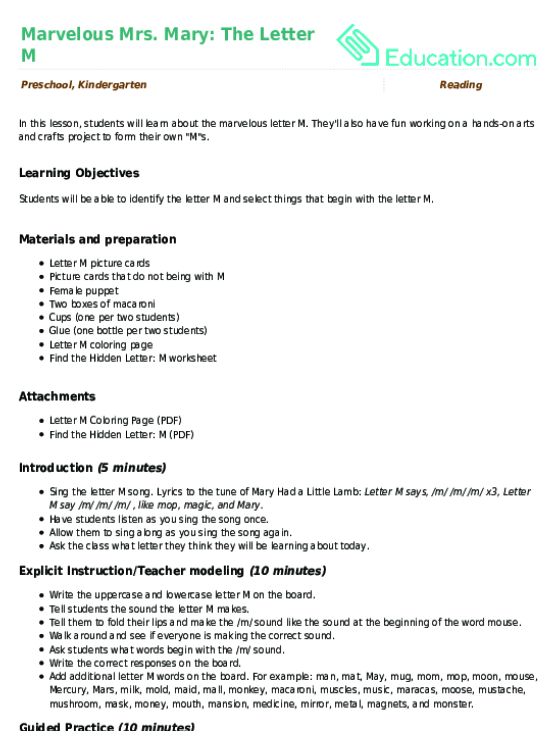 Have students listen as you sing the song once. Allow them to sing along as you sing the song again. 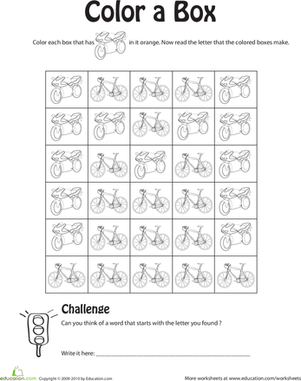 Ask the class what letter they think they will be learning about today. 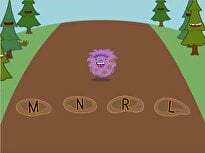 Write the uppercase and lowercase letter M on the board. 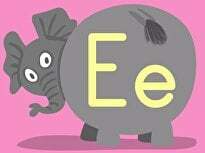 Tell students the sound the letter M makes. Tell them to fold their lips and make the /m/ sound like the sound at the beginning of the word mouse. Walk around and see if everyone is making the correct sound. Ask students what words begin with the /m/ sound. Write the correct responses on the board. Add additional letter M words on the board. 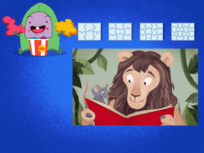 For example: man, mat, May, mug, mom, mop, moon, mouse, Mercury, Mars, milk, mold, maid, mall, monkey, macaroni, muscles, music, maracas, moose, mustache, mushroom, mask, money, mouth, mansion, medicine, mirror, metal, magnets, and monster. 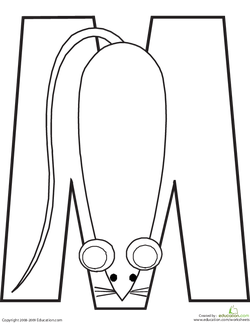 Introduce the female puppet with a name that begins with M, such as Mrs. Mary. Tell them she can only eat picture cards of letter M words. 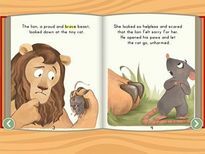 Give each student one picture card of something that begins with M and two picture cards of things that do not begin with the letter M. For example: a monkey, a crab, and a house. Tell them to feed Mrs. Mary the card that begins with the letter M.
Go to each student and allow them to give the puppet a letter M card. If they choose the wrong card, let the puppet get a tummy ache and let them try again. 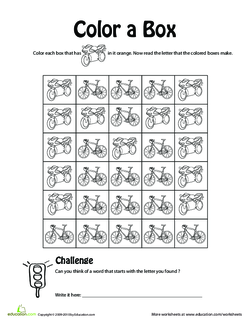 Give students the Find the Hidden Letter: M worksheet. 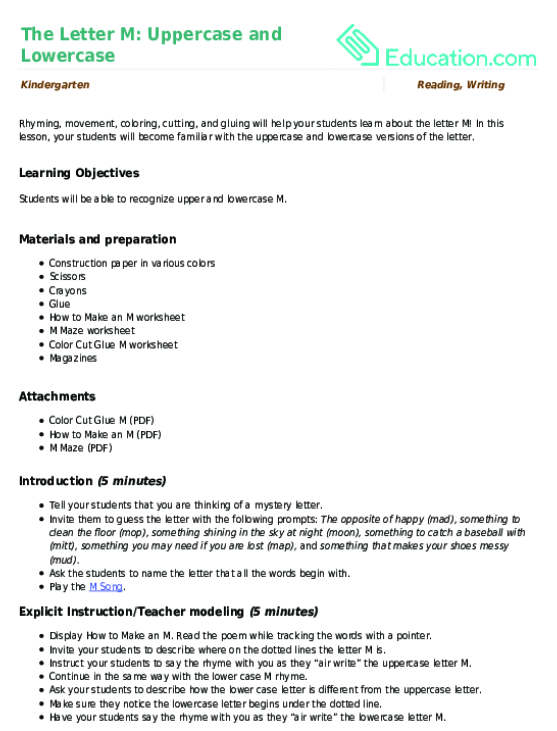 Read the instructions with the class. Tell them instead of coloring the motorcycles, they will paste macaroni onto the motorcycles. Distribute the macaroni into the cups. Give students cups and glue. 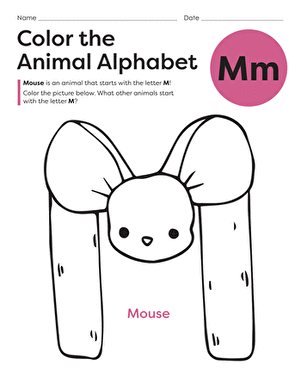 Let students paste the macaroni to form the letter M.
Enrichment:Let advanced students feed the puppet letter M word cards along with picture cards. For example, instead of a picture of a mop, they could choose the word mop. 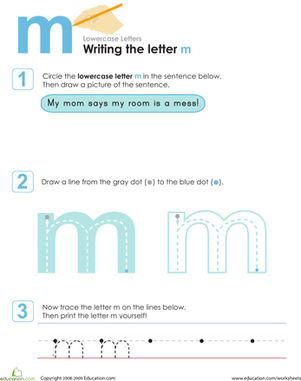 Support:Give struggling students the letter M page with the mouse instead of the hidden M to make it easier to paste an M.
Ask students to make the /m/ sound. 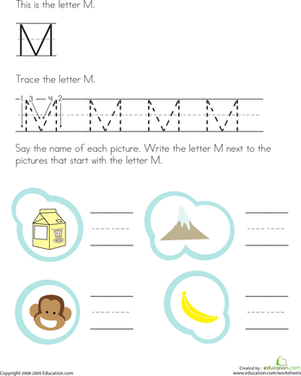 Check student work to see if they correctly formed the letter M.
Allow volunteers to name different words that start with the /m/ sound. 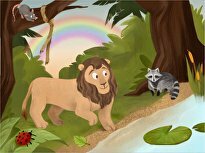 These marvelous monsters will help you and your little one review the ABC's! See how many letter M's you can find in this picture as you colour. 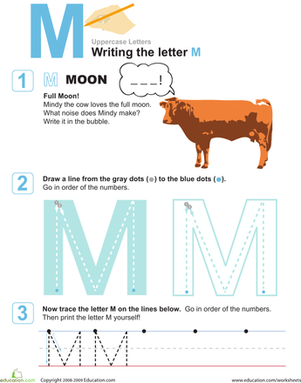 Rhyming, movement, coloring, cutting, and gluing will help your students learn about the letter M!